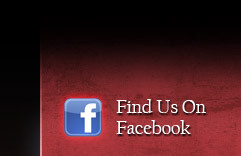 Local restaurant guides in Lancaster, PA consistently vote us the best Indian restaurant in Lancaster, PA. Check out our menu below to see why we have such raving reviews! Stuffed jalapeno dipped in light chickpeas batter and deep-fried. A medium spiced starter. Cauliflower, potatoes, onion, green pepper and spinach fritters, mixed with chickpeas flour and deep fried. Spring onion fritters, mixed with chickpeas flour and deep fried. Vegetable turnover, stuffed with spiced mashed potatoes and green peas. A combination of Samosa, Vegetables Pakora, Aloo Tikki, Onion Bhajia and Papadum. Deep fried homemade cheese battered with chickpeas flour and breadcrumb. Grated homemade cheese stir fried with fresh onion, tomatoes and green pepper. Tangy in taste. A tangy combination of chickpeas, potatoes and onion tossed in tamarind sauce sprinkled with black salt, served cold. Thin crispy wafers made out of lentils with specs of black pepper. Cucumber mixed with tomatoes and onion, tangy in taste. Cucumber, lettuce, tomatoes and onion. Ground lamb mixed with fresh ginger, herbs and spices, grilled on skewered in traditional clay oven. Cube of white meat chicken marinated overnight with fresh herbs and spices and broiled in Tandoor. Delicately seasoned batter fried chicken with chickpeas flour and breadcrumb. Shrimp fritters, batter fried with special breadcrumb. Crispy shrimp saut�ed with ginger, garlic, onion, tomatoes and green pepper. Colossal crabmeat stir fried with fresh onion, tomatoes, green pepper, ginger and garlic. Calamari, marinated with ginger, garlic, semolina and sesame seed, deep fried with chick peas flour. A combination of Tandoor grilled platter consisting of lamb boti kabab, lamb seekh kabab, chicken malai kabab and chicken tikka. Our hearty stew of lentils and ginger. Refreshingly delicious soup made with spinach, cream base. A traditional Indian soup made with chicken, cream base. Fresh grounded tomato with cilantro, ginger and touch of cream. Traditional Indian soup made with chicken, mixed vegetables, ginger and herbs. Traditional flat whole wheat bread baked in a clay oven. Leavened homeade soft bread baked in clay oven. Aloo Naan, Onion Naan, Garlic Naan, Keema (lamb) Naan or Paneer Naan. Stuffed with potatoes, peas, onion, garlic, keema (lamb) & cheese. Stuffed with a mixture of blended cashews, raisins, pistachios and coconuts. Multi layered whole wheat flat bread cooked on grill. Multi layered whole wheat flat bread, cooked on grill with choice of stuffing - potatoes or mix - vegetable or spinach or radish. One big piece of soft pillow bread. Kid's favorite. A combination of garlic, onion and plain Naan. The following are some of the commonly known as well as popular names of entrees of north Indian cuisine. The ingredient, spices and cooking patterns are exactly the same where as you can choose your choice of meat or seafood. Contrary to common assumption curry is not a single spice but the "gravy of the dish" which is blend of spices of different combination. We present our version with onion, garlic, ginger and fresh tomatoes. Masala is a hearty blend of tangy tomatoes with aromatic herb and spices. White meat chicken or cube of lamb leg meat or shrimp or salmon is charbroiled in a clay oven then cooked in the sauce with a touch of light cream to bring out the intricate flavor and exotic fragrance of the spices. Biryani is favorite dish from Hydrabad in south India; we stir-fry meat or seafood with onion, ginger, garlic, red pepper, cashews, raisins and spices. Rice added and steamed together to spread the flavors in to every morsel. This is a true Muglai (royal) delight. A creamy, blended lightly sweet and spicy sauce with the delicate flavor of cardamoms, cashews and raisins add to its nutty taste. For the true adventurer and one with passion for spicy food. This version of the curry contains chunks of potatoes in a tangy and spicy sauce. A favorite of the Gorkhas of Nepal. Saag means spinach or other greens. We cook chopped spinach in low heat until it is almost dry. Then sauté it with onion, ginger, garlic and particular spices with a touch of light cream. A traditional marriage of meat and vegetables. We start with chicken or lamb or shrimp, fresh cauliflower, carrots, broccoli, green pepper and tomatoes, then sauté them with fresh ginger, garlic, cardamoms, cloves and spices. Mild dish from northern India. Charcoal grilled dark meat chicken cooked in creamy butter sauce. An exotic treat of the day. Sweet and sour delight of tender chicken cooked with tropical mango sauce. Chicken cooked in a wok with onion, tomatoes, green pepper, red pepper, ginger, garlic and Indian herbs. Half chicken marinated in yogurt and spices for 12 hours. Baked on skewers in Tandoori oven to perfection, the healthy ways to barbecue chicken. Boneless chicken breast marinated in yogurt, fresh spices and lemon juice then barbecued in clay oven. A juicy tender delicacy that melts in your mouth. Chicken breast marinated with cream cheese, sour cream and cardamom, charbroiled in clay oven. All entrees are served with basmati rice on the side; add extra rice for $1.99. Cube of boneless lamb cooked with ginger, garlic, yogurt sauce and other spices. Tender cube of lamb cooked in delicious Lababdar sauce with mint flavor. Prime rib chops of Australian lamb is marinated in sour cream, ginger, lime juice and some specific spices, grilled in Tandoor and serve on light creamy sauce with grilled vegetables. Tender morsels of lamb legs marinated in exotic spices and broiled in Tandoor. Serve in hot iron pan. Exotic fragrance of the spices. Black tiger shrimp cooked in Lababdar sauce with mint flover. Tender jumbo shrimp marinated in yogurt, ginger, garlic and a combination of spices then broiled in Tandoor. A specialty from Malabar coast of India. Colossal lump crabmeat sautéed with onion, tomatoes and a touch of cream and coconut milk. Chick peas steamed with tomatoes, ginger, garlic, onion and spices. A traditional merging of nine gems-fresh cauliflower, carrot, red pepper, home made cheese, green peas, potatoes, cashews and raisins, saut�ed with ginger, garlic, onion, cardamom, clove and special spices. Chopped spinach is cooked in low heat, tossed with ginger, garlic, onion together with appreciate spices. Cubes of home made cottage cheese are added in a steaming blend of cream. More choices of Aloo, Chana or Mushroom. A true Muglai delight-freshly minced vegetables, home made cheese, cashews and raisin`s balls, cooked in creamy onion and tomato and cashew sauce with touch of saffron. Fresh home made cubes of cottage cheese lightly fried and cooked with green peas in onion, tomato and cashew sauce. Chunks of homemade cheese sautéed with ginger, garlic, onion and spices, Cooked in creamy tomato and cashews sauce. Garnished with cashews and raisins. Whole cauliflower marinated with appropriate spices for 24 hours, then cooked in clay oven. Our chef's special. Seasonal fresh vegetables are stir-fried on minimum olive oil with a touch of garlic, ginger and mustard seed. Fresh cauliflowers and potatoes cooked with onion, tomatoes, ginger garlic and other spices. A true labor of love, lentils are cooked in low heat then tossed with fresh tomatoes, ginger, garlic, onion and spices. Your choice of yellow, black or mixed lentils. Whole eggplants partially cooked in Tandoor then mashed and cooked with tomatoes, onion and tasty spices. Fresh green beans stir fried with onion, tomatoes, ginger and garlic. Chopped okra saut�ed with onion, tomatoes, ginger, garlic and other spices. Fresh mushroom cooked with cashews, poppy seed, melon seed, ginger, garlic, onion, tomatoes and other spices, flavored with Indian herbs. Vegetable biryani, basmati rice is cooked with mixed vegetables, cashew, raisin and other spices. Fresh locally grown vegetables-mushroom, eggplant, zucchini, squash, turnip, cauliflower, broccoli, peppers, and other seasonal vegetables, broiled in the Tandoor (clay oven) with spices. All entrees are served with basmati rice on the side: add extra rice for $1.99. All entrees can be made 0 to 10 scale spicy, 10 being hot. A combination platter of chicken tandoori seekh kabab, chicken tikka, chicken malai kabab, boti kabab and tandoori prawn. A special version with chicken, lamb, shrimp, and crabmeat stir fried with onion, ginger, garlic, red pepper, cashews, raisins and spices. Rice is added and steamed together to spread the flavors into every morsel. Chunks of white meat chicken are stir fried with onions, ginger, green pepper and cilantro along with garlic, cumin seed and the hint of olive oil. Chunks of skinless boiled potatoes fried with different Indian herbs, spices, onions, tomato and lemon juice. Unique for vegetarian. Tender chunks of lamb leg stir-fried with a semi-circular motion known as BHOONING with shredded ginger, garlic, green pepper and cardamom pods. Chunks of boneless chicken thigh cooked with onions, tomatoes, and coconut cream, flavored by basic Indian spices (ginger, garlic,cardamom, cloves, cumin, coriander). A specialty of South India. Stir fried scallop with fresh vegetables like broccoli, cauliflower, greeen peppers, red peppers, peas and carrots. Hint of garlic and blended masala. Cauliflower and peas cooked with fenelcreek in mild malai sauce. Homemade Indian cheese stir fried with red onion, red & green pappers, ginger, garlic and kadai sauce. Loved by dadaji (grandfather) everywhere but everyone's favorite. Basmati rice pudding. Deep fried home made cheese balls in honey syrup. Home made cheese patties which melts in your mouth, cooked in milk syrup. Grated carrots cooked with milk, dry nuts and cardamom. Indian mango ice cream or pistachio ice cream. Parties of 5 or more will have 17% gratuity added. No cellular phone use in restaurant, please. Coke, Diet Coke, Sprite, Ginger Ale, Lemonade, Club Soda and Iced Tea. Apple, Mango, Orange and Pineapple. Coffee, De-Café Coffee, House Tea, De Café Tea and Green Tea. 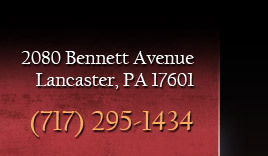 Consistently voted one of the best restaurants in Lancaster, PA by Lancaster's restaurant guides. © 2019, Taj Mahal Restaurant. All Rights Reserved.